Sometimes, a films premise can be so outlandish and weird, so unpredictable, that movie studios just don’t know how to sell it to the masses. As a result, these “weird films” usually die a quick death at the box office. An example is John Carpenter’s Big Trouble In Little China (1986) which 20th Century Fox simply didn’t know what to do with. How the hell do you sell a movie about a truck driver who ends up fighting Chinese ghosts in an underground Chinese temple? Exactly! So Big Trouble in Little China went the way of the dinosaur and disappeared from theaters. These films aren’t necessarily bad films, sometimes they are just not what audiences are accustomed to, they can’t be explained in a simple way to the masses. 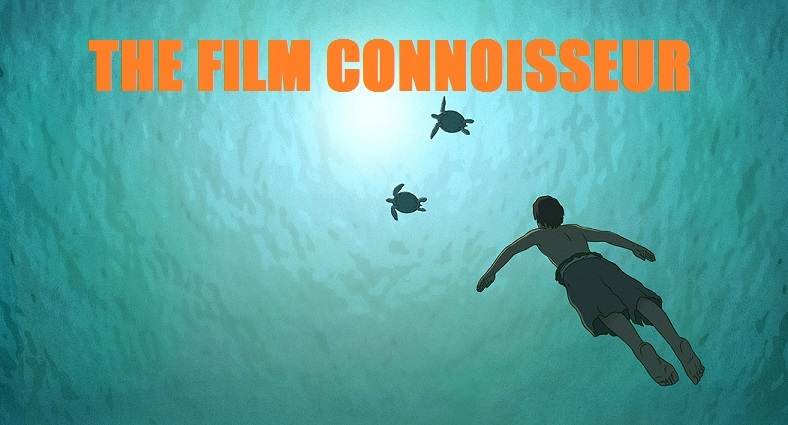 And trust me, this is what studios prefer: films that can be explained in a sentence, a caption, a tagline. For Hollywood, when it comes to selling a film, simplicity is of the essence. If your movie is too complicated a sell, it will either get a limited release, or go straight to dvd, either way, your film isn’t going to get much exposure. Often time, the films tagline will let you know that you’re in for a weird movie, for example the tagline for Big Trouble in Little China was “A Mystical, Action, Adventure, Comedy, Kung Fu, Monster, Ghost Story!” The tagline for The Adventures of Buckaroo Banzai Across the 8th Dimension was “Expect the Unexpected. He does.” which I have to admit is pretty accurate description of the film, and it’s exactly what makes it so damn watchable. It is extremely unpredictable. 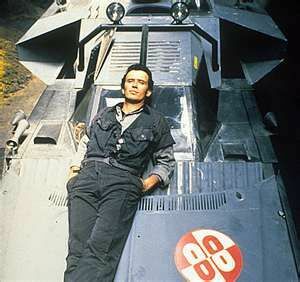 Buckaroo Banzai is a fascinating character in my book. He is that kind of character that is a genius and therefore knows how to do practically everything, which became a funny gag to me. 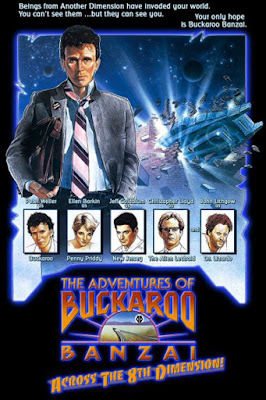 Let’s see Buckaroo Banzai is an excellent brain surgeon, lead singer and lead guitar player of a rock and roll band called ‘Buckaroo Banzai and the Hong Kong Cavaliers', in which he also plays the trumpet! Buckaroo is also a scientist who experiments with interdimensional travel, and ends up being the first human being to travel through solid matter! If you can believe it, he is also a Samurai. He part times as a super hero, and is also one of the founding fathers of the ‘Banzai Institute for Biomedical Engineering and Strategic Information’ amongst other things that I’m sure are not mentioned in the film. With the help of one Dr. Hikita, Buckaroo invents the ‘Oscillation Overthruster’ a device that allows humans to travel through solid matter and into other dimensions! Unfortunately, it also opens a door for aliens from Planet 10 (called ‘Red Lectroids’) to escape from the 8th Dimension! Now, these Red Lectroids want to go back to their home planet so they can rule it with an iron fist and they want to use Buckaroo’s Oscillation Overthruster to do it! Will Buckaroo and his Hong Kong Cavaliers find a way to stop them before it’s too late? So yeah, this movie is fascinating to me in many ways. I like it because you feel like your falling right smack in the middle of a movie already in progress; this my friends, is not a film that will stop and explain every single little thing for you. This movie might have an outlandish plotline and a comic book premise, but it’s a film that expects you to be quick, to pay attention, this is not the kind of film where your brain can just wonder off, you have to pay attention to every single bit of dialog, or you’ll be lost on your way. Which is what I like about it, it’s a strange thing: a silly movie written by intelligent people. Yeah, it’s complicated in some ways, but not impossible to decipher as some might have you believe. Actually, if you stick with it, the inside jokes can be very rewarding! Part of what makes this one so enjoyable is the amazing ensemble cast! We get Peter Weller playing Buckaroo, the main character in the film. He comes off as totally likable, like he’s this guy who knows everything about everything, the kind of guy you wish you could be, if you had the brain of a genius. I wish we could have seen more of his Samurai side. Then we have his gang of sidekicks, The Hong Kong Cavaliers, all geniuses themselves. One of them is played by Jeff Goldblum, who for some reason dresses up as a cowboy for the whole freaking film! Then we get the beautiful Ellen Arkin playing the role of Penny Priddy, boy does she look hot on this one! She pops up in the film as this depressed girl who wants to commit suicide, but is saved by Buckaroo, who detects her sadness in the middle of one of his rock and roll shows. 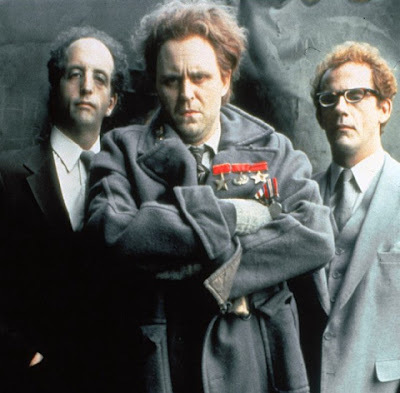 Then we get a trio of Red Lectroids played by Christopher Lloyd, Dan Hedaya and Vincent Schiavelli. I mean, what’s not to like about this awesome cast? Everybody seems to be having a blast here; everybody got the spirit and tone of the film just right. There are political symbolisms to be found in The Adventures of Buckaroo Banzai and I think that in order to completely understand it, we have to be conscious of the political climate of the 80’s, the fear of nuclear meltdown and the cold war. This is yet another film that reflects society’s fears and concerns of the time. Like many of the films of the 80’s (War Games (1983) and The Manhattan Project (1985) for example) the fear of nuclear meltdown at the hands of the Russians is felt. The “Red Lectroids from Planet 10” are a clear allusion to the Russians, who were enemies to the Americans at the time. Russians have always been described as “Reds” by the Americans, same as the villains in the film are the “Red Lectroids”. The fear of nuclear meltdown is felt in one scene in which an alien race threatens to destroy Russia, and Perfect Tommy, one of Buckaroo’s right hand men says “The Russians might misinterpret the attack as an American strike; they’re already a little trigger happy!” and yet another allusion to how conscious people where of this nuclear tension can be seen in a moment in which an alien being tells Buckaroo and his team: “If you fail, we will be forced to help you destroy yourselves” In this way, the filmmakers point at humanities tendency to threaten our own existence with nuclear weapons. 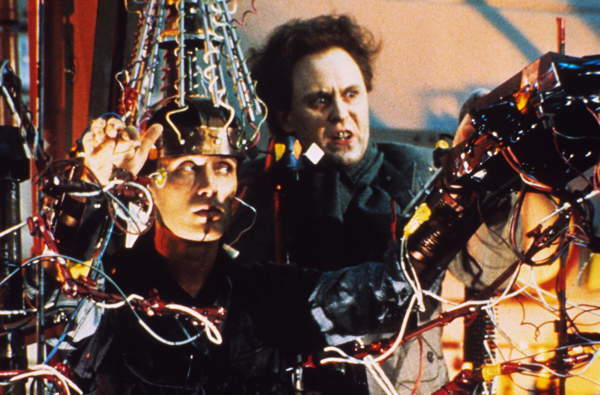 The villain of the film is played by the great John Lithgow, who is running on all cylinders on this one, playing the over the top villain ‘Lord John Whorfin’ a.k.a. Dr. Lizardo. He is the leader of the Red Lectroids that are scattered on earth. Lord John Whorfin is portrayed as a crazy fascist dictator “not unlike your Hitler”. He runs a company called ‘Yoyodine Propulsion Systems’; which is really a front for the Red Lectroids headquarters. The Red Lectroid’s headquarters has speakers blaring systematic brain washing messages like “The only joy is the joy of duty! Work, work, work!” So this is a film that though funny and totally zany, is also heavy on political themes. 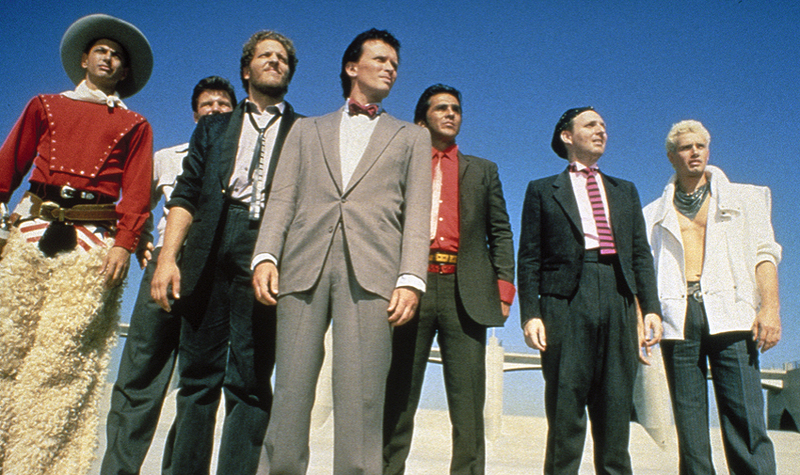 The Adventures of Buckaroo Banzai might seem like a crazy movie to some, but at heart, it plays with a lot of important issues; the filmmakers where just having fun (and lots of it) as they said their piece with this film. But I don’t want to make it sound like this is a film with a boring political agenda or what have you, nope; this movie is tons of zany fun. It is a completely offbeat film, right down to it's closing credits. It has so many ideas going for it that you feel like it is a set up for future films, as if a whole universe had been created and we were just seeing the tip of the iceberg. In actuality, more Buckaroo Banzai films were planned, proof of this is the promised sequel mentioned during the closing credits: Buckaroo Banzai vs. The World Crime League. They even hint at this planned sequel when they talk about a villain called ‘Hanoi Xan’, the leader of the World Crime League. Sadly, this sequel never came to be because the first and only film failed horribly at the box office. Its failure can be attributed to its convoluted nature, but it also faced tough completion at the box office! Buckaroo Banzai went up against such smash hits as Indiana Jones and the Temple of Doom (1984), Star Trek III: The Search for Spock (1984) and Ghostbusters (1984), so it didn’t exactly get it easy at the box office; plus it was released in only a limited amount of theaters. But as it often happens with good films, Buckaroo Banzai has found its audience in home video, and its cult following grows. There’s been various Buckaroo Banzai novels and comic books released throughout the years, so you might want to look into those of if you can’t get enough of Buckaroo Banzai. Here’s hoping some day it gets the reboot treatment, because if you ask me, this things got potential! 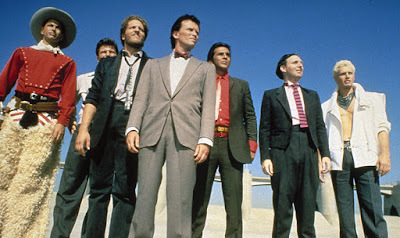 First time I watched Buckaroo Banzai I absolutely hated it. I thought it was atrociously written, couldn't follow the plot, everyone was over-acting and didn't find myself laughing once. Couldn't see what the fuss was about (except for the great end credit sequence). But for some reason it stuck in my head so I decided to give it a second chance a few days later. For some reason on the second viewing I just "got it". Now it's one of my favourite films of the 80s. I think it helps if you're a comic book reader because the film is like reading a random issue of comic book (where you're struggling to follow who everyone is and what's happened prior). I'm actually amazed that a studio financed it because it's a very crazy idea for movie. I'm not surprised it flopped at the time. I've actually picked up a lot of the recent comic book spin-offs. Sadly, they aren't that great. The artwork is a bit all over the place and the plot are even crazier (despite being written by the same guy). I think what made the movie really work was the performances. Peter Weller was just perfect as Buckaroo. Your reaction was not all that different from mine, it's taken a couple of viewings to fully grasp the film, the first time one sees the movie it can hit you like a ton of bricks. Agree about the comic book style, actually, Marvel Comics put out the comic book adaptation of this film at the same time it was released. Agree with you too, one sees the movie and thinks of how it was ever greenlit, I know the filmmakers had trouble convincing studios to give money for the film. But they managed to convince Weller and Lithgow and Barkin, I think that helped the funding. That ending credit sequence, and the song, love it! Even cast members who died during the movie re-appear! I was lucky enough to see this in theaters when it first came out and loved it. It tuned right into my own offbeat sensibilities and was the perfect warm-up for BIG TROUBLE IN LITTLE CHINA, which is written by the director of BUCKAROO BANZAI no less. This film certainly operates on its own wavelength and if you don't tap into that you probably won't like/understand it at all. It's the kinda film that people who like it really love it and then there's everyone else. Yeah, the comic books aren't so good but I would recommend the novelization which is written by the screenwriter and he crams in all sorts of material that isn't in the film but that he had on hand in case there had been sequels. It is definitely worth reading. Thanks for noting the W.D. Richter connection J.D., this explains the similarities in crazy premise and the overall unpredictability of these films, both are certainly offbeat. I read that Richter was actually brought in to modernize the script for Big Trouble In Little China, which was originally going to be a western! I actually didn't realize that connection and I mentioned both films as examples of "weird films" that tanked at the box office! STRANGE! Big Trouble is an important film from the 80's for me. I will be writing an article on it next week! Look forward to that! "May the Wings of Liberty Never Loose a Feather!" Can't wait to read your take on BIG TROUBLE. Like yourself, it is an important film for me as well. I saw it at an impressionable age and have been a die-hard fan ever since! I also liked Buckaroo better the second time around. Given how Buckaroo defies genre I agree that it is amazing it ever got made. I'm glad that it found a life as a cult film. Personally I prefer Big Trouble in Little China but both are awesome! J.d. : Big Trouble in Little China loving up on the blog next week, it will be a special event! RVChris: I true wonder how in the world it was ever greenlit, its one of those movies that makes you wonder how it slipped through hollywoods cracks.